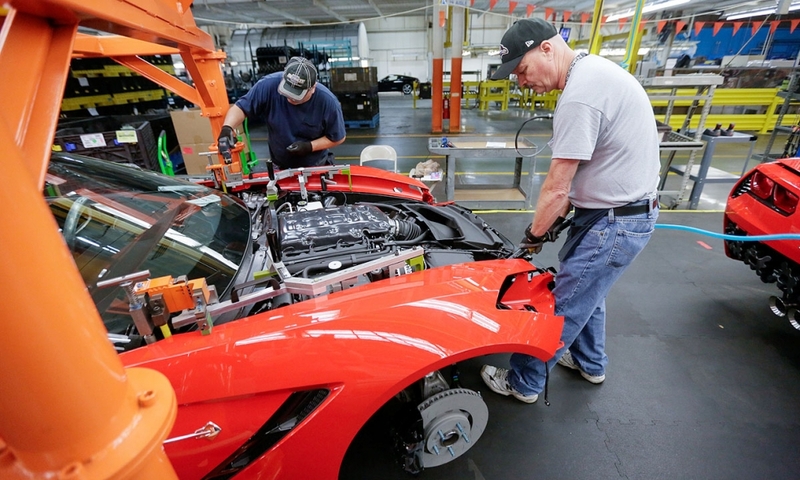 General Motors spent $131 million to retool a plant in Bowling Green, Ky., to assemble the redesigned 2014 Chevrolet Corvette Stingray, which features a new frame, body and suspension. 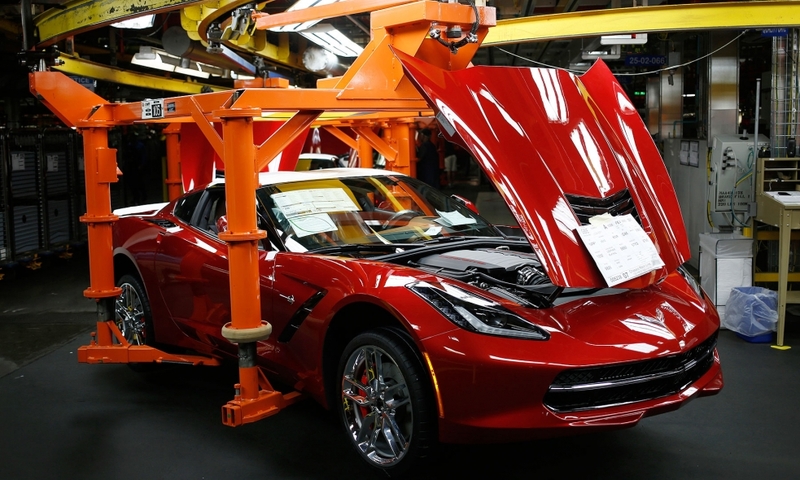 Workers inspect the 2014 Chevrolet Corvette Stingray at GM's assembly plant in Bowling Green, Ky.
Robotic arms flip the chassis of a Corvette Stingray in a body shop retooled by GM last year for $52 million. 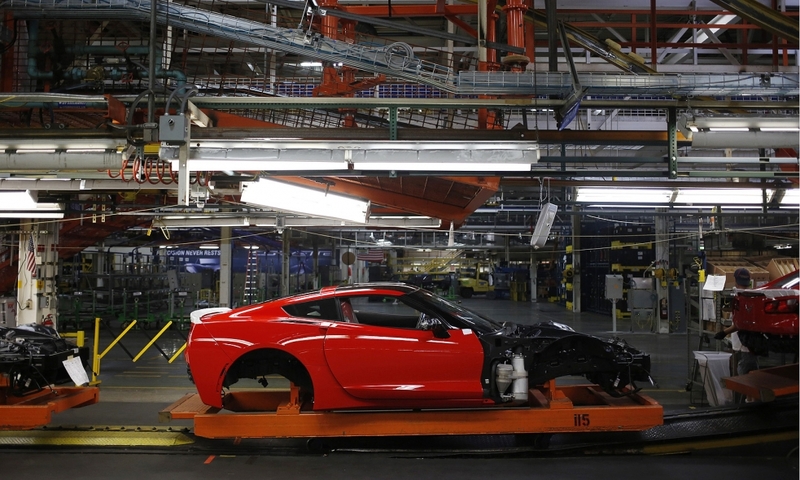 The passenger compartment's two frame rails are married. 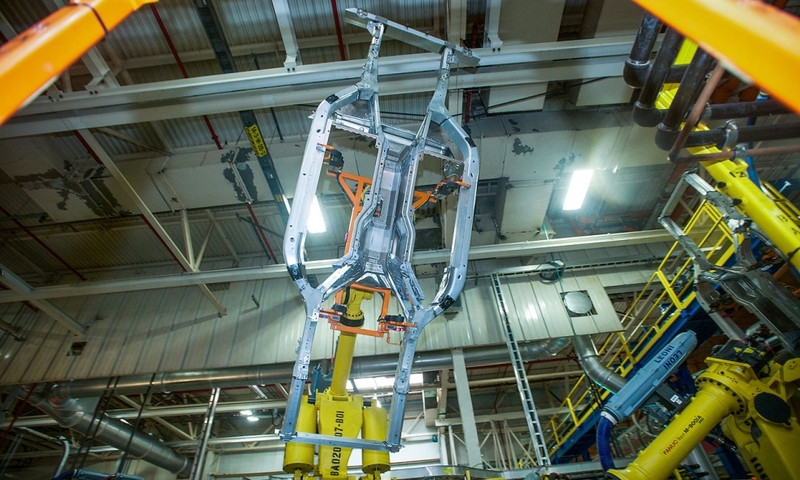 Another view of robotic arms flipping the frame of a '14 Corvette Stingray. 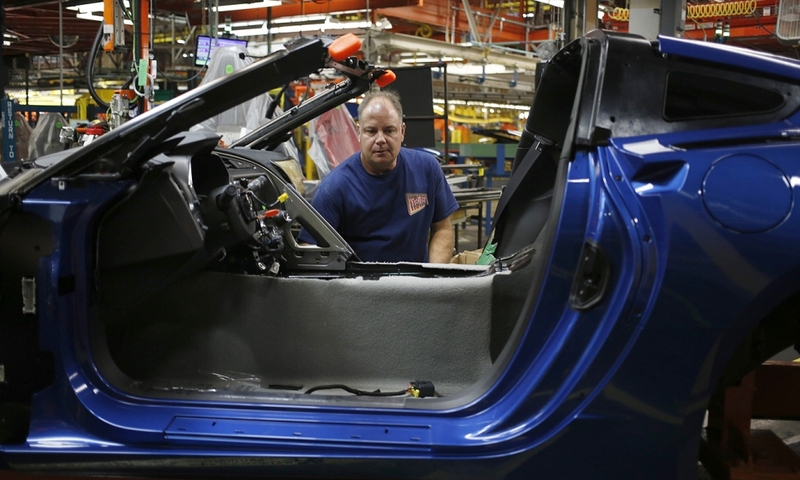 A worker prepares to install the front passenger seat in the redesigned Corvette Stingray. 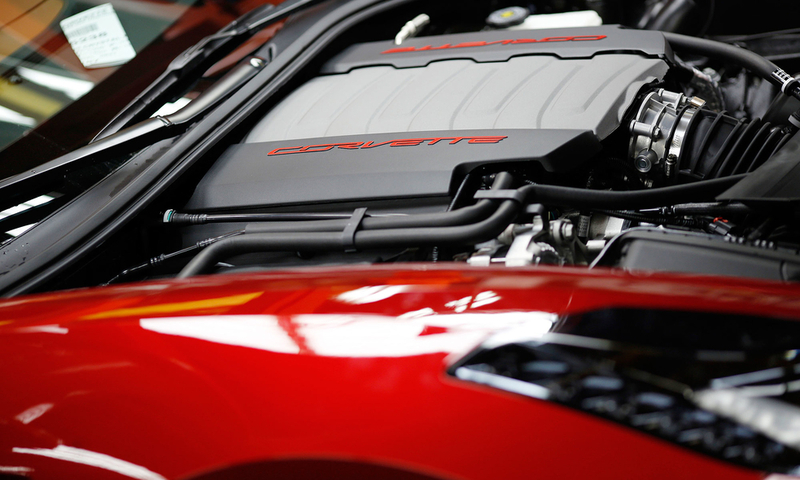 The underside of a Corvette Stingray undergoes an inspection. 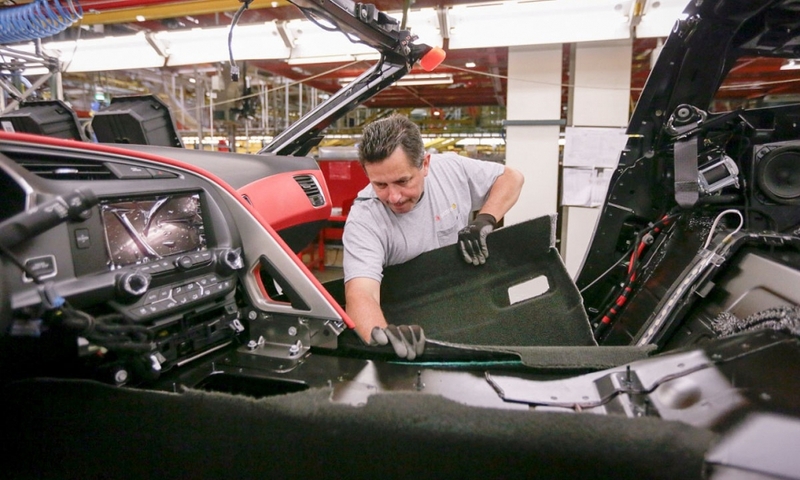 A worker installs seats in a 2014 Corvette Stingray. 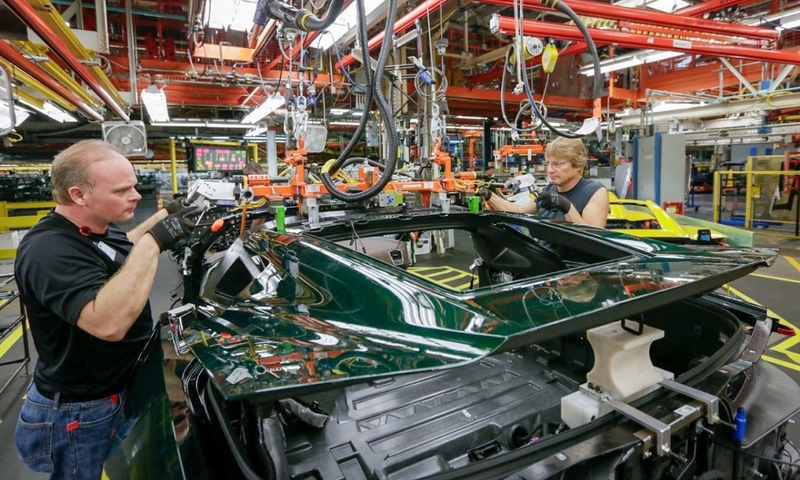 Another view as the Corvette's body frame is transferred by robot on the frame line in the body shop. 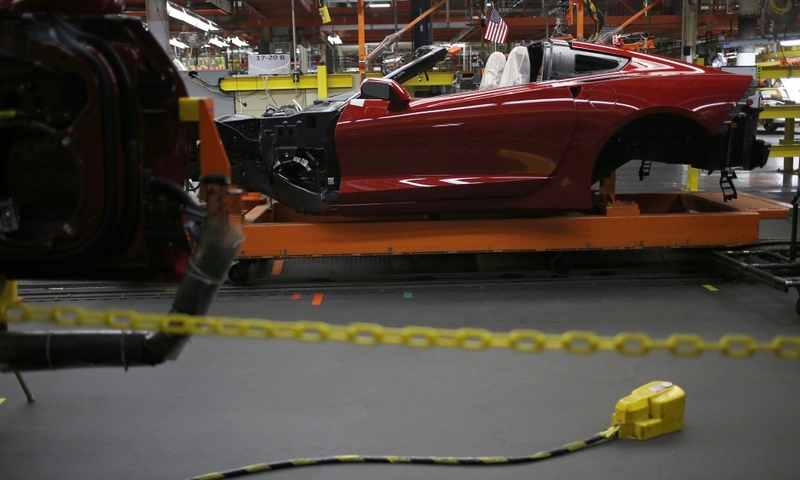 It is 99 pounds lighter and 57 percent stiffer than the previous-generation frame, resulting in a chassis so strong that the convertible model needs no structural reinforcements, GM says. 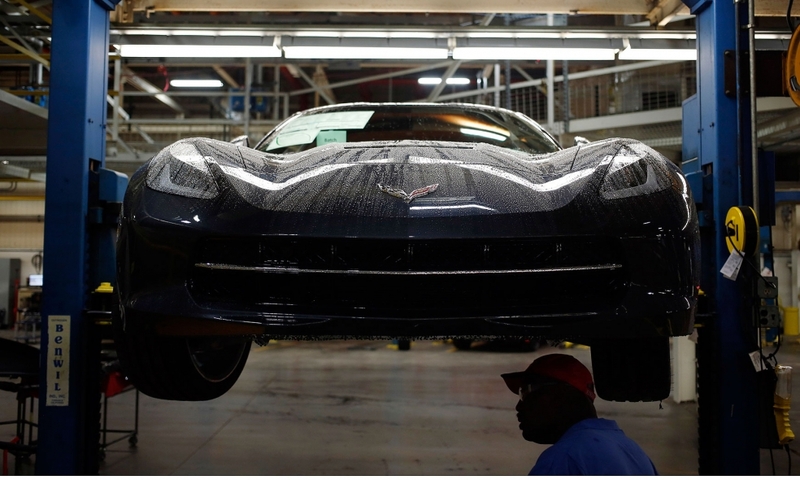 A Corvette Stingray frame makes its way down the composite line in the body shop. 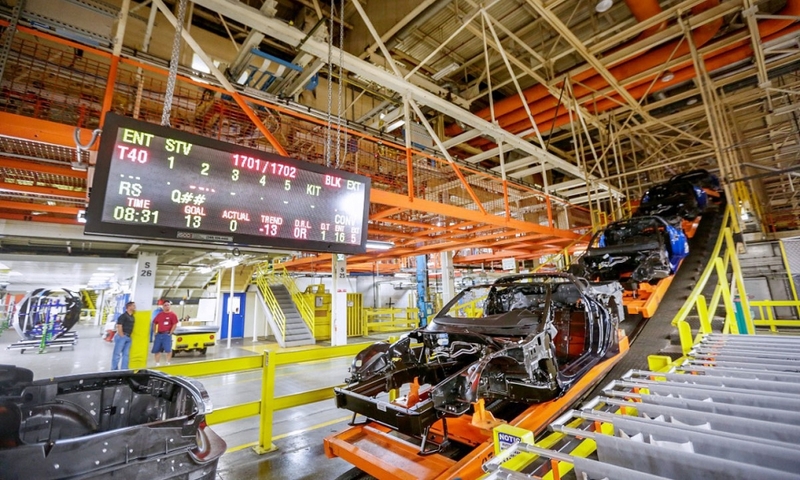 The frames of the 2014 Chevrolet Corvette Stingray enter the assembly line. 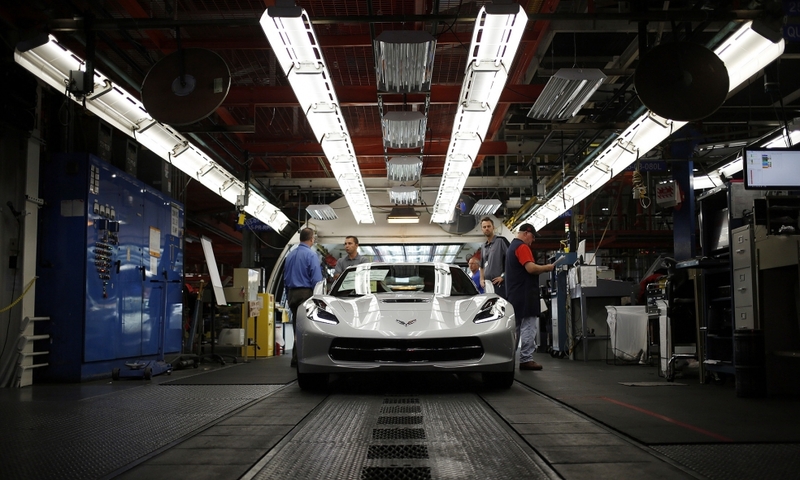 A 2014 Chevrolet Corvette Stingray on the production line. 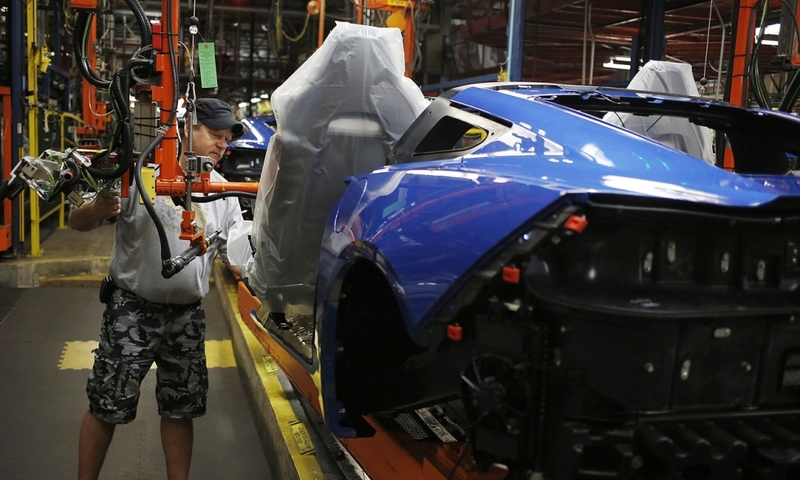 It takes about three and a half days to build the new Corvette from start to finish. 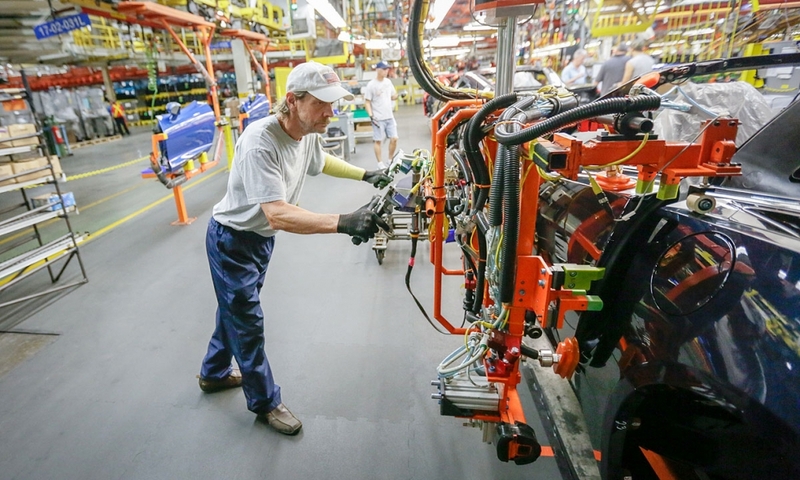 The Bowling Green plant, a former Chrysler air-conditioning component factory, features assembly operations that are seven miles long. The upper latch is installed. 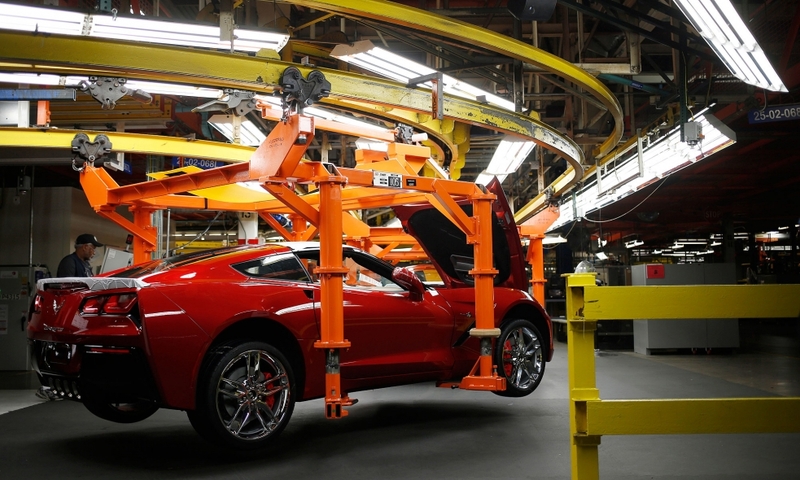 A Corvette body moves along the assembly line. 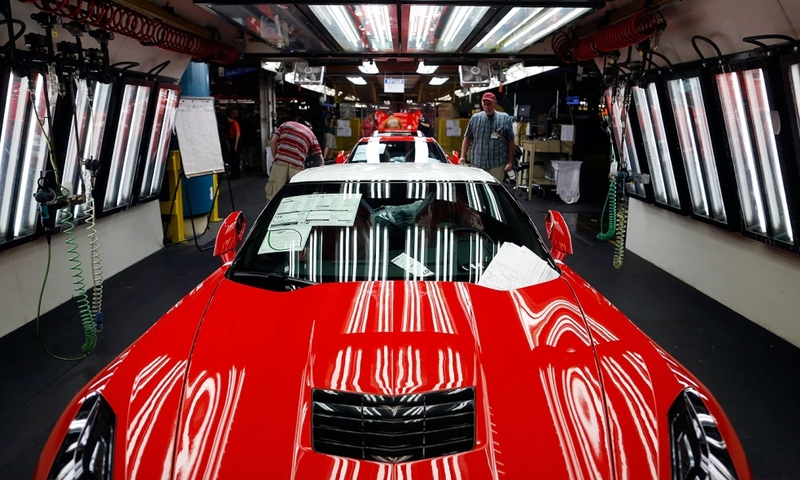 The Bowling Green plant has assembled the Corvette since June 1981. 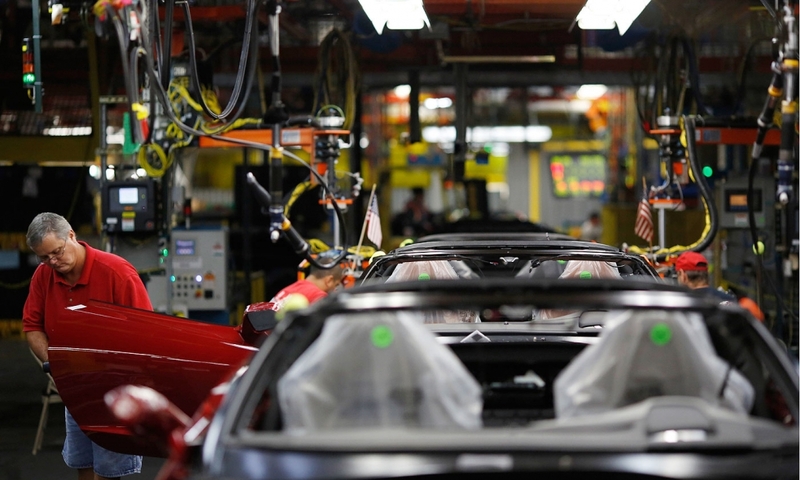 The rear hatch is installed along the assembly line by two workers. The backglass is aligned and installed. 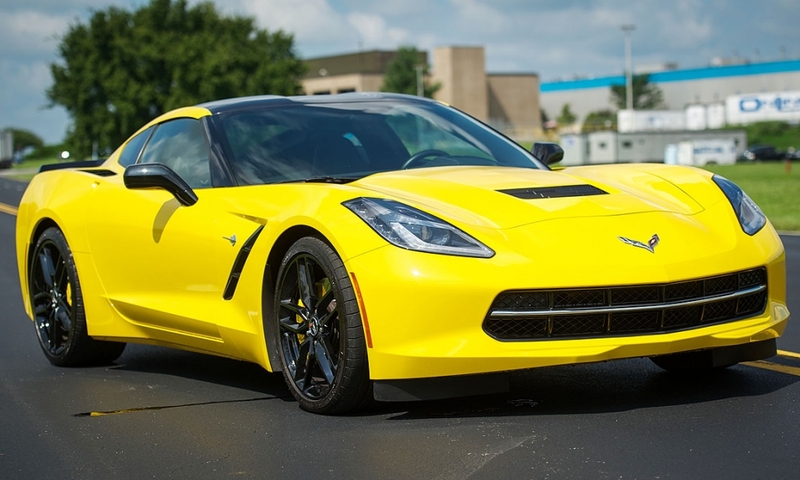 The Corvette's lightweight materials include an aluminum frame; carbon fiber hood and removable roof panel on coupes; composite fenders, doors and rear quarter panels; carbon-nano composite underbody panels and the new aluminum frame that help shift weight rearward for an optimal 50/50 weight balance. 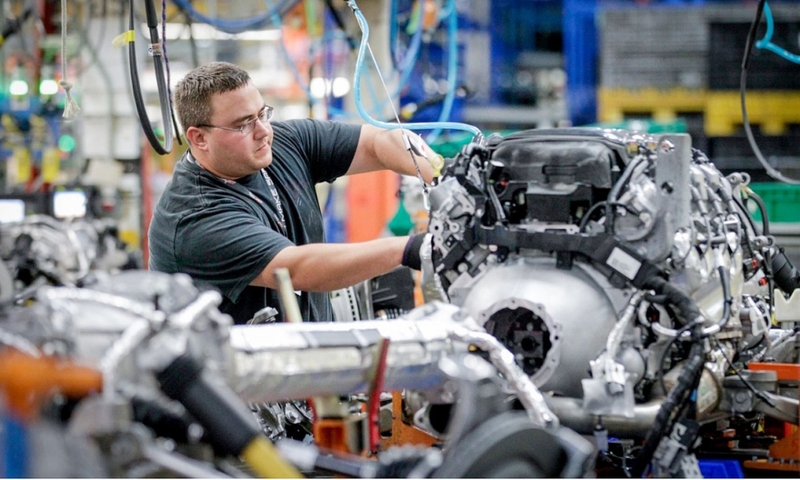 It all adds up to support a world-class power-to-weight ratio, GM says. 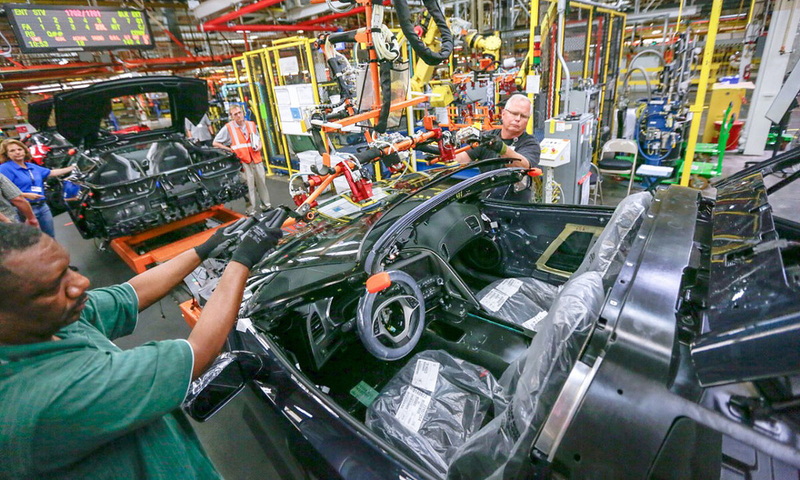 Tighter tolerances on parts and new, improved tooling for the Corvette's various assembly processes are helping the assembly plant achieve approximately 25 percent or greater improvement in meeting tolerance targets, GM says. 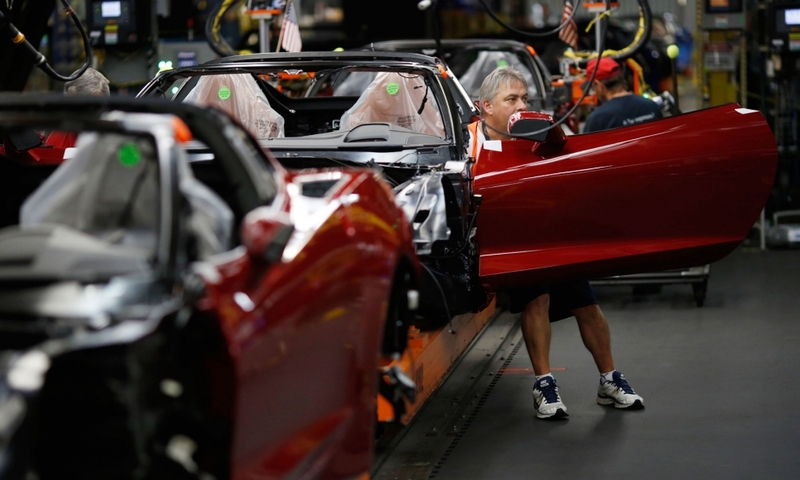 Output of the 2014 Corvette will be capped at about 160 units per day on one production shift. 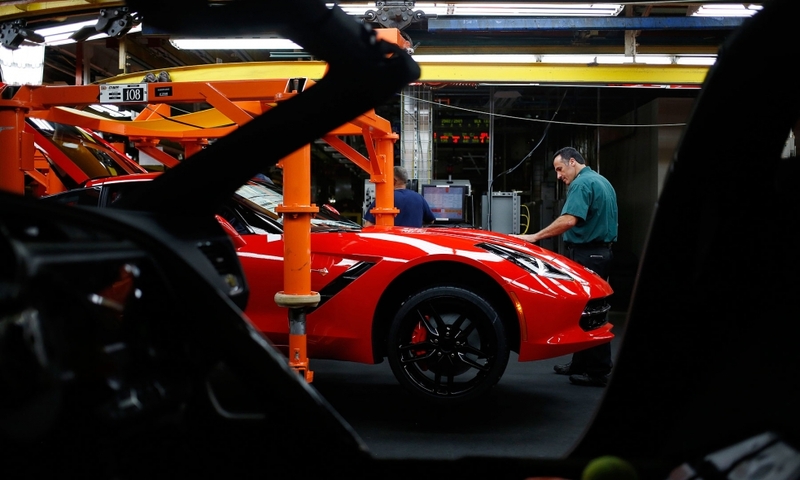 The new Corvette's wheelbase is approximately an inch longer than the previous generation, with front and rear tracks that are almost an inch wider. The front glass is aligned and attached. 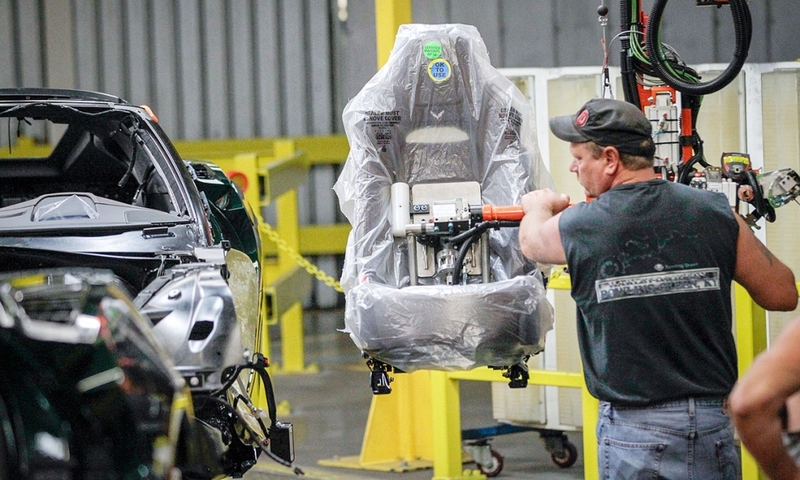 Another view of the seat installation process for the Corvette. 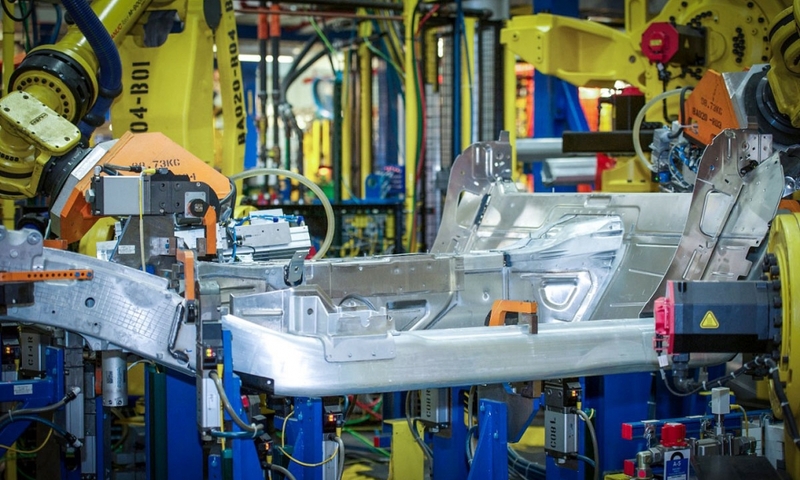 The frame structure for the all-new seat is made of magnesium for greater strength and less weight than comparable steel frames. 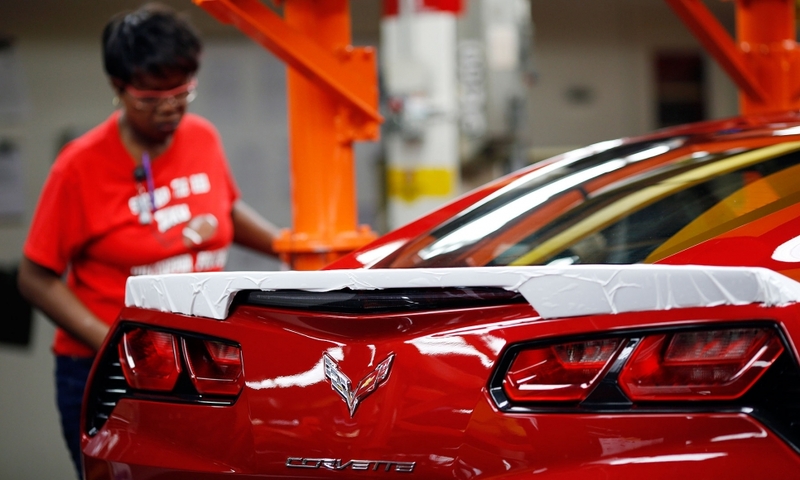 They're also more rigid, GM says. The driver's side door, composed of fiberglass, is attached. 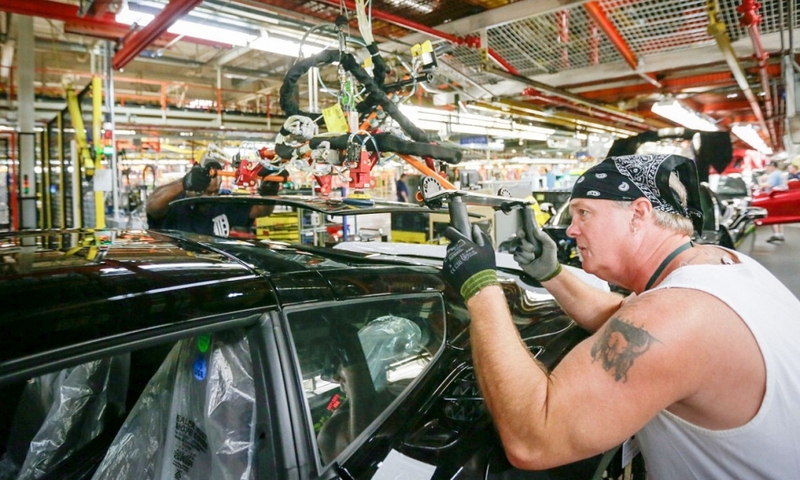 A worker prepares to install a door along the assembly line. 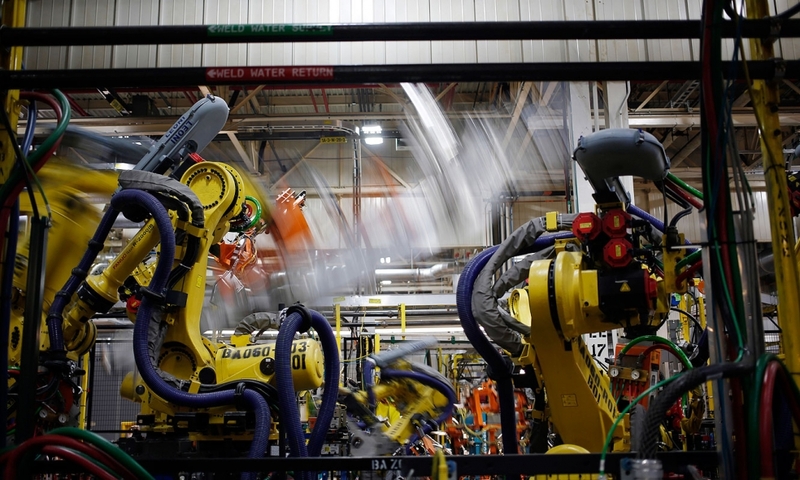 The production shift at the plant starts at 6:12 am and ends at 2:42 pm daily. 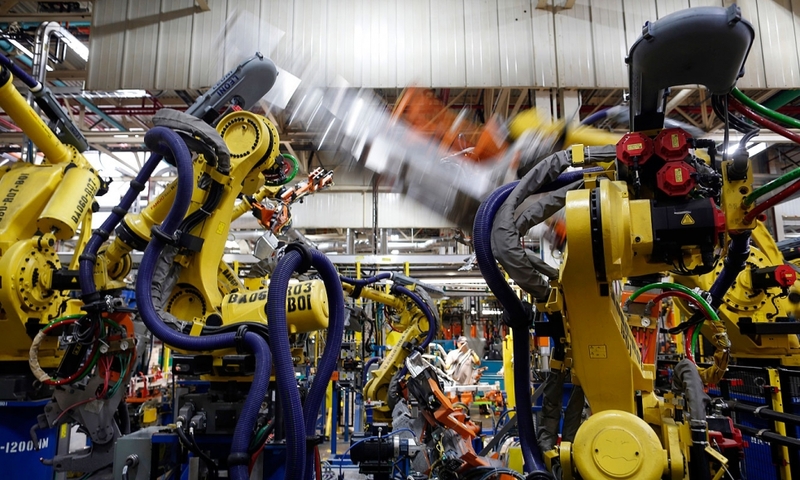 The engine bracket mount is removed during assembly. 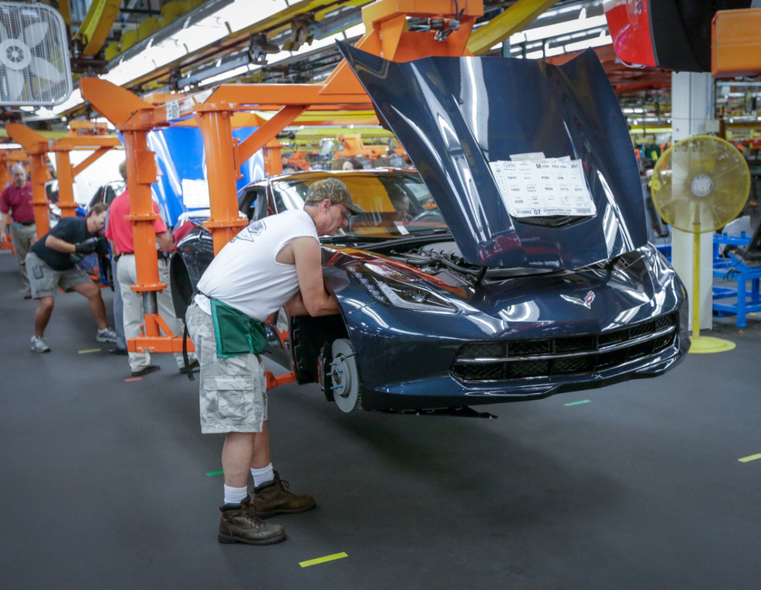 Employees at another station on the production line for the Chevrolet Corvette Stingray. The Stingray emblem is aligned, installed and secured on the front corner panel. The right front wheel liner is attached. 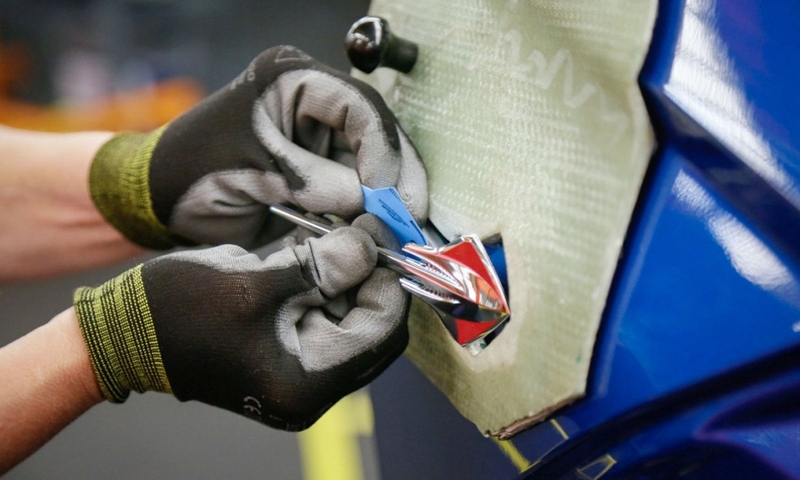 An operator installs the bracket on the front fender. 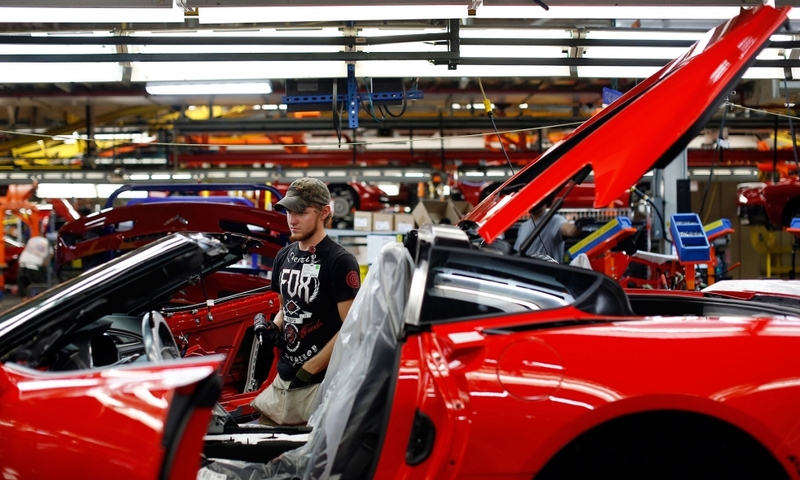 Undergoing an inspection near the end of the assembly line. 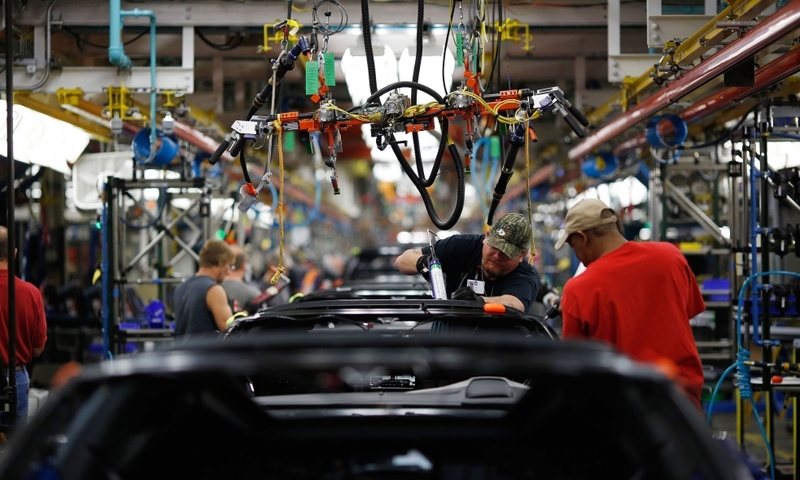 One of the last stops along the assembly line. 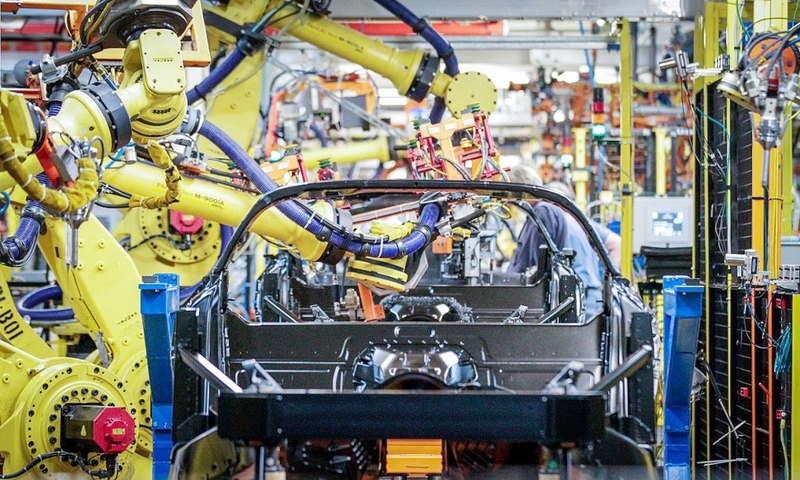 Before each car leaves the plant, it is subjected to a final 3-minute, diagnostic evaluation that covers 800 tests, such as acceleration, drivetrain performance and electrical and safety systems. 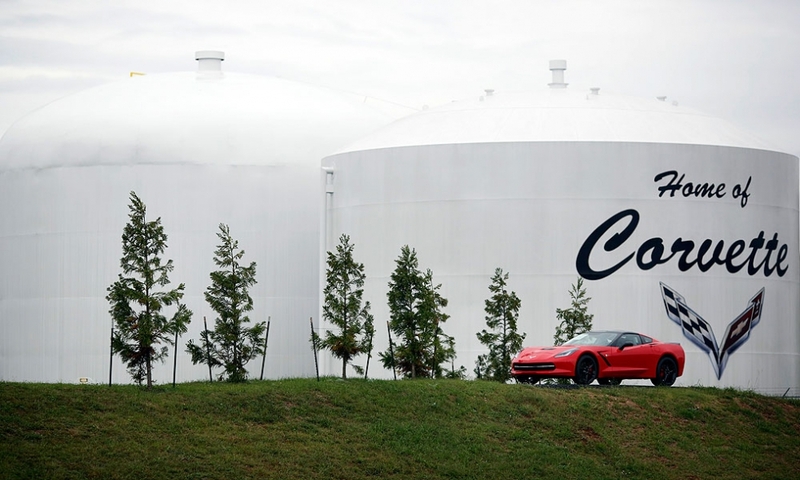 The 2014 Corvette Stingray outside the plant in Bowling Green, Ky. 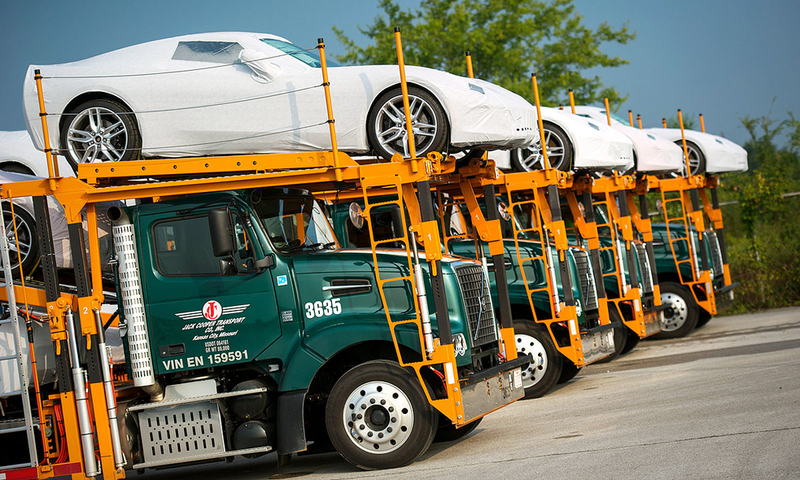 The redesigned Corvette is ready to be shipped. 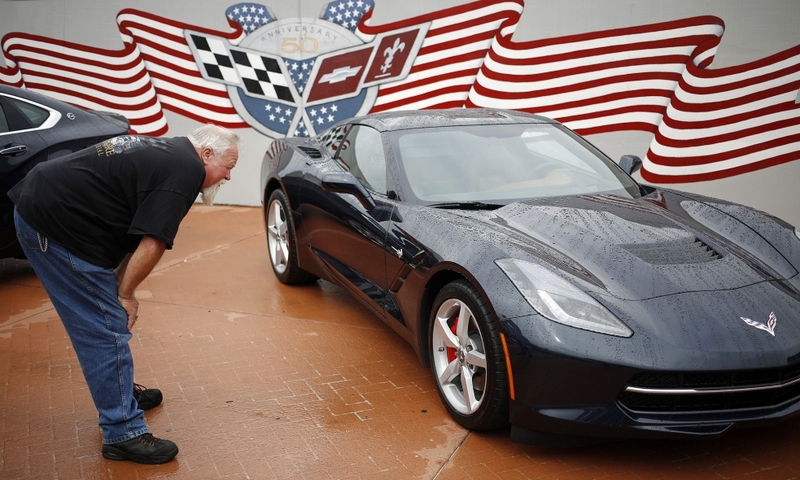 Robert Beattie of New Orleans checks out the 2014 Chevrolet Corvette Stingray outside the plant, which draws 50,000 tourists a year. 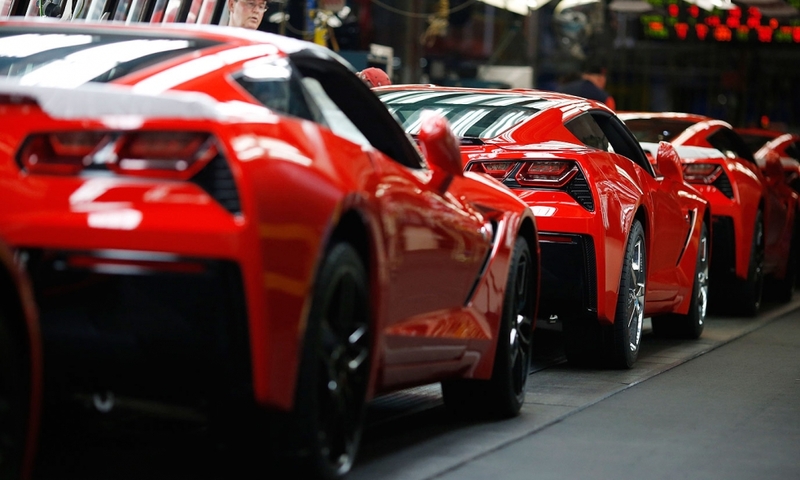 GM expects to deliver 20,000 to 30,000 Corvettes a year and market the redesigned car in nearly all 140 countries where Chevrolets are sold. 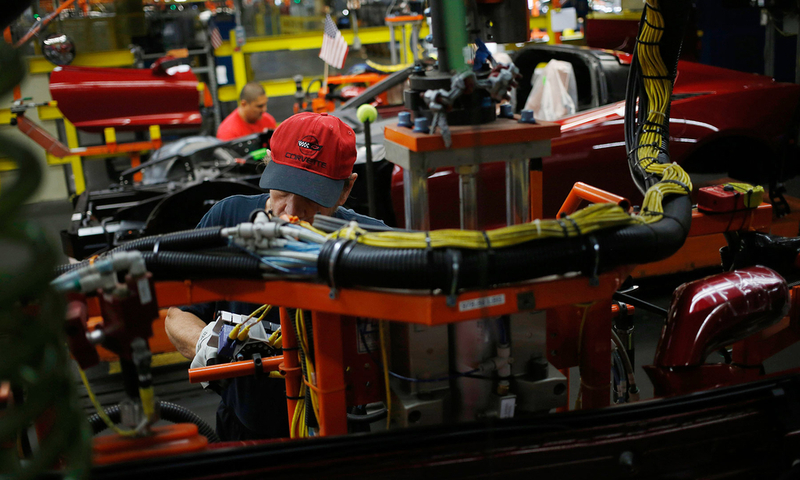 A greater number of exports will reduce the number of cars available in the United States, GM says.